Total handle on Saturday's 33rd Jim McKay Maryland Million Day at Laurel Park was $5.704 million, an increase of 30.3 percent over last year and the largest handle on Maryland Million Day since 2007. It was also the first time since 2007 that total handle was over $5 million. 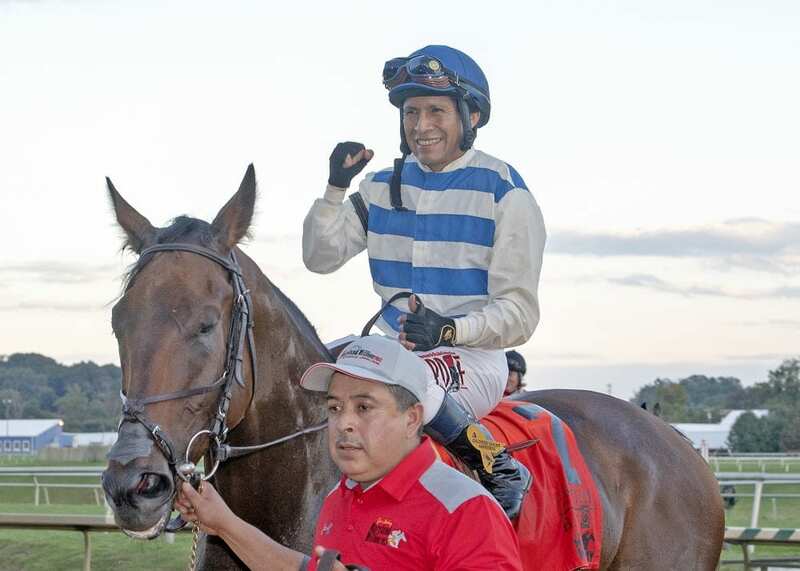 An estimated 22,000 people witnessed history when Hall of Fame rider Edgar Prado became the winningest jockey in Maryland Million history in the $150,000 Classic aboard Saratoga Bob. It was Prado's 18th Maryland Million triumph, one more than fellow Hall of Famer Ramon Dominguez. Other highlights on track included victories by defending champions Crabcakes in the Million Distaff and My Sistersledge in the Million Ladies. Fans were introduced to additional renovations at Laurel Park, including a new sportsbook, as well as the inaugural Clubhouse Festival featuring Grammy nominated Steve Aoki, which drew thousands of new fans. Belinda Stronach, Chairman and President of The Stronach Group, presented the winning trophy after the Maryland Million Classic. This entry was posted in NL List, The Biz and tagged belinda stronach, edgar prado, handle increase, laurel, laurel park, Maryland Million, sal sinatra, saratoga bob, The Stronach Group, total handle by Press Release. Bookmark the permalink.